If TCB cashback is tracked, the effective cost should be safely below £520. 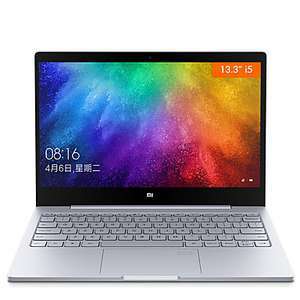 Xiaomi laptops are holding good promise for their Linux support. Transaction value for paying in USD came to £556.97. TCB tracked to £50.42. Flash sale is over now. * Will need to deal with Windows 10 Chinese installation. A person with decent computer knowledge is needed to install Windows English. * XIaomi has established a good reputation for build quality. If it added UK warranty and support it has the potential to sweep the market away (or at least force other manufacturers to cut prices drastically). Till then it involves lots of prayers to Chinese gods. * Usual caveats for Chinese retailers apply. - Don't count on support. Though LITB website states items can be returned to EU warehouses, that may still be quite expensive. Not as portable though? Wish they would update the 13 inch to 8th gen. If a UK retailer sold this I'd buy in a heartbeat. Although I'm sure they'd add at least a couple hundred £ more on top. If more power is preferred over portability. For the Pro i7 model it might be more sensible thing to get the 16GB version (future proofing). But then, the price moves too far out of the sweet spot. Lol. How many laptops will die or have issues few months after great 1 year warranty? Lol. How many laptops will die or have issues few months after great 1 …Lol. How many laptops will die or have issues few months after great 1 year warranty? Yes if it doesn't turn up! I am having issues checking out. Get "No Shipping Method Available At This Time". Could only raise a ticket against a previous order! Anyone managed to get this to work, tried with/without paypal and both USD and GBP. Doesn't it have the Chinese version of Windows 10? Easy enough to convert to English. I am having issues checking out. Get "No Shipping Method Available At This …I am having issues checking out. Get "No Shipping Method Available At This Time". Could only raise a ticket against a previous order! Anyone managed to get this to work, tried with/without paypal and both USD and GBP. Fairly easy to convert. Involves using the Windows Media Creation Tool to create a Windows installation media. Then install using it. I would prefer to do this anyway to have a clean Windows 10 install. It is, I have previous orders. It appears in the shipping address, then there is a cart summary and then a shipping and delivery section where it says "No Shipping Method Available At This Time" even allowed popups and removed adblocker, worked with MS Edge. Just over £800 with possible 10% cashback for the i7 with 16GB ram. Your order xxxxxxxxxxxxxx has been cancelled as requested and we will arrange full refund GBPxxxxxx immediately. Refunds by card payment take a minimum of 4 business days to refund. Paypal is instant.